Making sure the maximum possible amount of your estate is transferred to your chosen beneficiaries after you die is an obvious concern. And in what can already be a complex area, living abroad will raise further issues that need to be addressed to do the best by your loved ones. Our expat wills and estate Frequently Asked Questions should help you get to grips with general inheritance tax issues, but if you want to know exactly how they affect you, please get in touch with one of our advisers. Scroll over a question for the answer to drop down. In which country will I pay inheritance tax? If you are British and you own property in the UK or abroad, your estate will be subject to UK inheritance tax no matter where you live. The current inheritance tax rate is 40% of assets over and above £325,000. However, depending upon your circumstances, good estate planning may be able to mitigate your inheritance tax bill—talk to a Pryce Warner advisor to find out how we can help you. Your estate is considered to be all property and assets that you own, less any outstanding debt or money owed, such as a mortgage. There are, however, a number of inclusions and exemptions that may or may not apply to your circumstances—contact one of our advisors to find out more. No, you only have to list specific bequests or objects and collections that are particularly valuable. What should I know about executors and trustees? The trustee is the person/people you appoint to take decisions pertaining to the maintenance of your estate while it is held in trust before being disbursed to your beneficiaries. The executor is the person who carries out the trustees’ wishes during this time. Anyone can be a trustee of your estate. However, as professional advice is likely to be needed during the probate process, we suggest a clause to empower your trustee to hire professional advisors as necessary. Likewise, you can appoint anyone as your executor but it will be more convenient if they live in the same country as you. Furthermore, you may choose as many executors as you want , but the law states that only four can be active at the same time. What will happen if I die before I've made a will? If this happens, your estate will be disbursed under the rules of intestacy, which are very strict. The wishes of the deceased, if known, are not taken into account—and even an incorrectly drafted will can result in a declaration of intestacy. Professional advice is critical for any family finding themselves in this position. How does life insurance affect my estate planning? Life insurance or assurance falls outside your estate and is not liable for inheritance tax. Taking out such a policy is a good way of ensuring enough liquidity through the probate process and to cover inheritance taxes. If both parents die with children under 18 and no will, the courts will decide on who should have custody and how your assets should be managed. To make your wishes known for this eventuality, there are two important measures you should take. Firstly, nominate legal guardians for your children—only one is required but most people nominate two, either as jointly responsible or as a first choice and a reserve. Secondly, appoint a trustee/s, usually the guardian, to manage your assets to the benefit of your children. This can include provision for housing, education and even financial support for the guardians. If you have a disabled child, making sure provisions are put in place to ensure for their care can make things even more complicated. If your child does require special care, you’ll need to plan carefully to ensure they will be properly looked after. These are important considerations if you are the parent of young children and we would suggest you take professional advice in making a suitable will. A joint tenancy is when more than one person jointly own a property. Should one party of a joint tenancy die, their share of the property is automatically transferred to the surviving parties. In other words, if one partner dies, the family home will become the property of the surviving partner. If my marital status or partner changes, how can I change the ownership of my property? Who will manage my will-writing process? 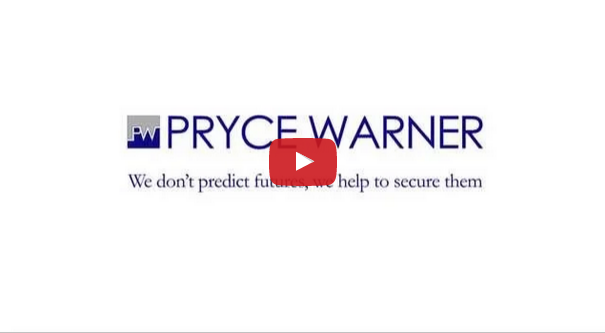 If you come to Pryce Warner for advice, we’ll assign you an advisor who’ll provide a one-to-one service throughout the process. We understand that drafting a will is highly personal and you need to feel confident that your wishes will be carried out precisely. Am I free to change my will at a later date if my circumstances change? Once a will has been approved, it can’t be amended. However, if you wish to make changes, you can cancel your existing will and draw up a new one.